I absolutely fell in love with Mia Sheridan's story telling prowess in Archer's Voice and she became one of my favourite authors whose books I blindly one-click! The Wish Collector is her latest book that takes us back to our favourite fairy tale Beauty and the Beast except this one is based in the current time New Orleans and there is no magic in this except the magic of love. Our heroine moves to New Orleans to pursue her dream of becoming a ballerina. Alone in the city, subject to the rude behaviour of her co-dancers, she seeks comfort in the company of an old lady who tells her about the "weeping wall" that is supposed to be haunted and if you make a wish there, it is granted by the ghost. Intrigued and oddly feeling invested in the story, our heroine goes to the wall and meets the hero, a scarred, broken man caught in his own private hell who lives in the house beyond the wall. "He looks like a man who's been terribly hurt by the world and believes there is nothing left to love anymore." Talking through the wall, these two come close but can their feelings ever amount to anything everlasting? Will the beauty and the beast overcome all odds to have a happily-ever-after? Beauty and the Beast has been my favourite fairy tale since childhood and this story never gets old, no matter how older I get. The Wish Collector not only made me revisit this evergreen classic but has also made a special place for itself in my heart for ever. A book that will not only touch your heart but crush it with the power of the emotions it evokes, I fell headfirst in love with the story, the characters, the settings and all and everything about this book. This is not only just a romance but also has suspense and mystery. I sat entranced throughout, forgetting everything and lost in the world the author sketched so realistically that it became my reality for the duration of the book. One of the best books that I have read in 2019, this is a story of love and acceptance, of forgiving oneself and making amends for past wrongs, of the power of unconditional love that stays strong even after death and the bravery to go after our heart's desire even against debilitating challenges. "Love can't just disappear when this life is through, can it, Jonah? Even if our bodies turn to dust, the love we feel must go somewhere." I am so proud that I have read Mia Sheridan's books and can't stop raving about her writing. She is one author who never disappoints and always makes my heart swell with happiness and contentment with her stories. 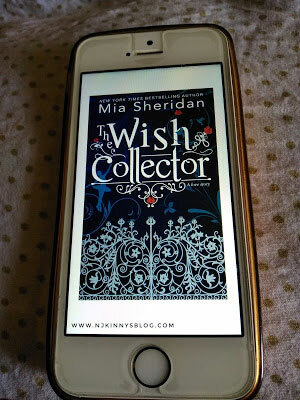 All in all, The Wish Collector by Mia Sheridan is a true gem that is not to be missed. A book that, I am sure, will forever remain on my "favourites" shelf, Njkinny recommends this inspiring and memorable love story to anyone and everyone who believes in the power of true love. 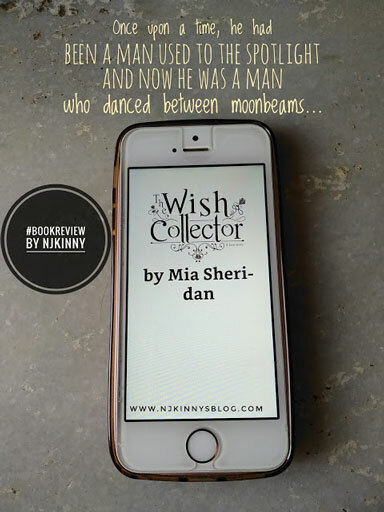 5 super shiny stars out of 5 to The Wish Collector from Njkinny. Go 1-click it now, read it yourself and gift it to your loved ones. You can thank me later! "The world will react the way the world will react. That's not your business. You have faith in your own worth and the world won't matter." "We must never choose safety over right. Safety is the blanket under which cowards sleep. Safety smothers hope and extinguishes all fight."